The 19 videos feature scissor and boom lifts from Haulotte, Holland Lift, Genie and JLG Liftlux. Models range in size from the JLG Liftlux 180E with a 20m working height through to the flagship of the Super-Set fleet, the Genie SX-180, whose working height is 56.68m. pre use checks, function checking and operating the controls, emergency lowering procedures for rescues, and, where fitted, secondary guarding. Separate videos have also been produced concentrating solely on emergency lowering procedures. Brian Parker, AFI Business Development Manager, Technical Support, said: “Safety systems change substantially for MEWPs over 80ft, so machine familiarisation is more important than ever. For example there are more computerised operations to maintain stability and a safe working envelope so people may not have experienced how a large boom automatically telescopes in as it is being lowered. “Some large machines have built in generators so that you can use power in the platform when the machine would be too high for an extension cable to reach. Most machines can be driven when you are at a height. 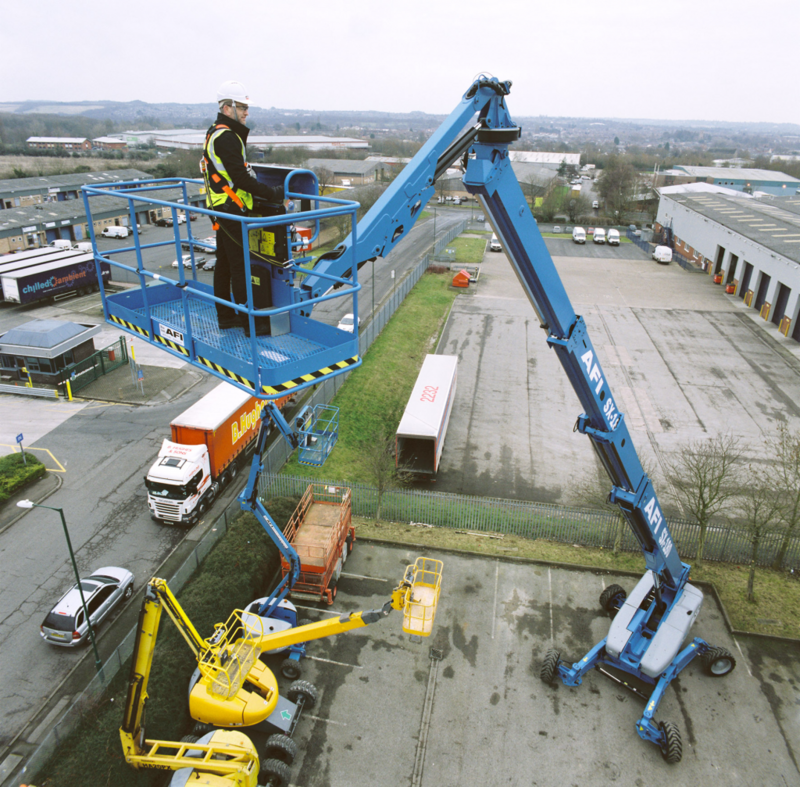 With the Genie SX-180, for example, the height could be 180ft. Although it would only be going at 0.4 miles per hour you really need to be sure about ground conditions at that height and whether it would be safe to move it. We always recommend lowering the machine to ensure that manoeuvres are carried out safely. Any operator, supervisor, project manager or safety manager can view the videos on a smart device by scanning a QR code on the machine or by viewing them online at: www.afi-uplift.co.uk/fam Ground personnel can also watch the emergency lowering procedures. Contractors now receive the familiarisation link as part of the hire process and can add the QR code and link to their website so that their staff or sub-contractors can have pre-familiarisation before the MEWP even gets to site. The videos can also be used by principal contractors as part of their induction process or method statement to demonstrate that they have taken steps to ensure machine familiarisation. AFI’s initial familiarisation videos have now been viewed over 10,000 times since their launch in June 2016.